Do you like Frizzle Fraz? Share it with your friends. 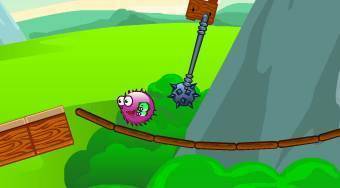 "Frizzle Fraz" is an entertaining game, during which you will relax. Turn yourself into a violet ball and try to overcome all game obstacles. Your task in each level will be to collect all keys. You will need the complete set of keys to open the door at the end of the level, which will allow you to enter to the next level. There are various adversaries to make the game more difficult.